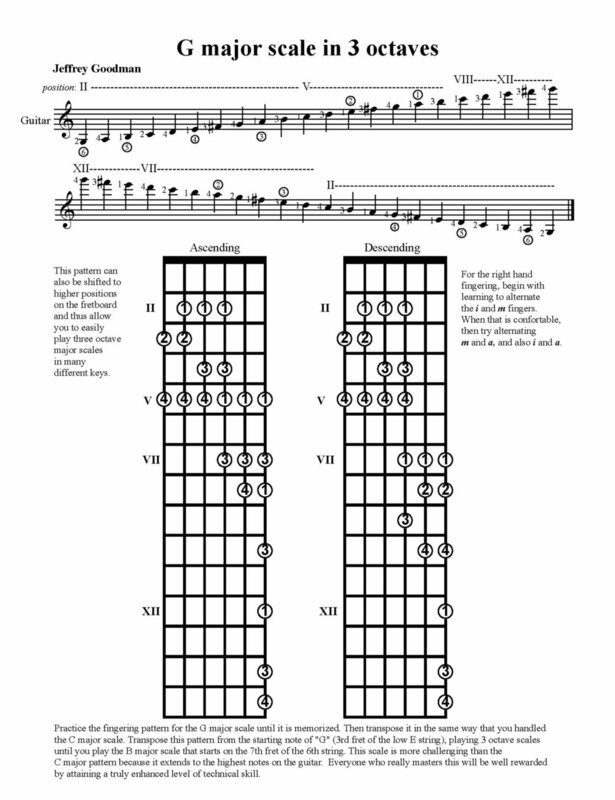 With 19 frets on the classical guitar, how can we learn to physically gain the technique to play everywhere? How can this be done in a relatively short period of time? Is there a direct and accessible way to do this? I recommend using scales as a tool to achieve fretboard mastery. 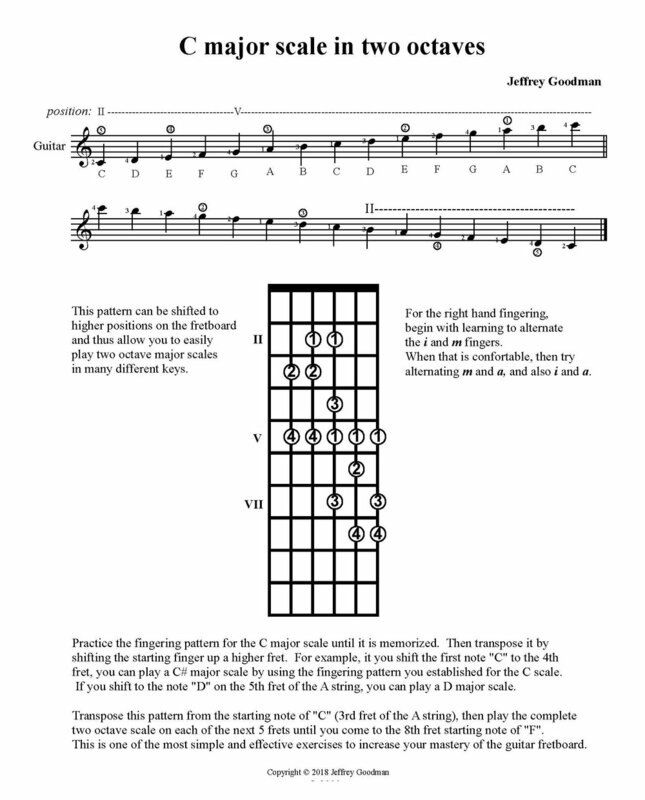 Many intermediate players needlessly limit themselves by learning only a few of the common guitar keys. It's important and powerful to learn to play scales in all keys. Over many years, all of my students have learned to play scales, and arpeggios, in all keys. By doing so, they play in every position, and cover the entire fretboard. To make it smarter and easier than the usual classical guitar approaches, I have adapted the methodology used by jazz guitarists: they use transposable scale patterns. That means they don't use open strings. Instead they use finger patterns that can be moved about the fretboard. One pattern is used to play in many keys. And whatever note you start on is the name of the scale you are playing. To explore the topic of scale playing, click the play arrow to check out the You Tube.below. Make sure that you shift in a completely smooth way - this is one of the hardest and most valuable lessons. Pay careful attention to tone quality. Every note can be beautiful, with a clear attack, sustain and ending. Vary the right hand patterns. At least alternate i & m; then m & a; then i & a. Over time you will be comfortable with any right hand pattern as well.